Travis Gostinger is the CEO/Owner of Summit Management Consulting. He is in the process of executing a Masters in Education Leadership, he holds a BA in Business Administration with concentrations in marketing and computer applications. He strives to continually sharpen his effective leadership skills through local, state, and nationally renowned leadership and organizational development training. Specifically, his training and inspirations come from the likes of Dale Carnegie, Steven Covey, Patrick Lencioni and Andy Stanley. Travis has the propensity to instinctively envision the potential of people and organizations; he can successfully create a path that drives toward desired outcomes. His positivity and servant leader approach grounds, yet empowers, the teams he leads and works with to achieve their goals. Travis is a family man with a devotion to God, his beautiful wife and three children. He is also a twin and a dog lover, having a St. Bernard and a Porkie. Travis enjoys golfing, boating and has a never-ending love for fast cars. Five words that best describe Travis are: Faith, Integrity, Passion, Driven, and Fun-loving. Kimberly Shell is the Administrative Assistant to the CEO for Summit Management Consulting. She holds a Bachelor Degree in Management Sciences and Computer Systems from Oklahoma State University. Kim brings experience from her previous jobs including pharmacy technician, bookkeeper, and stay at home mom. Meticulous (attention to detail), optimistic (always looking for the good in people/situation), and patience are strengths that Kim brings to Summit Management. She, her husband and five children enjoy the blue water area and all that is has to offer. When Kim isn’t working she enjoys spending time with her family, reading and watching her kids’ participate in sports. 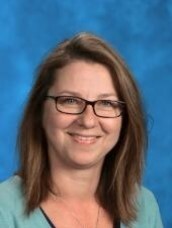 Debby Wilton, Director of Education for Summit Management Consulting and Superintendent of Landmark Academy, has a Master of Arts Degree in Teaching from Saginaw Valley State University and a Bachelor’s Degree in Elementary Education from Bethel College. She is committed to education excellence. 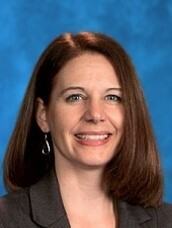 As the Superintendent she has cultivated strong bonds and relationships with her staff. She implemented Professional Learning Communities and is a great support to her entire team. Under Debby’s leadership the PLCs have organized a strong and consistent curriculum. Her drive, dedication and passion to see her schools succeed compel her to seize each new day and strive to help every student take hold of their future. Debby, her husband, and their son enjoy outdoor adventures, golfing and family time. As the CFO of Summit Management Consulting, Max is a Certified Public Accountant who received his Bachelor of Science Degree in Accounting from City University of New York. Max brings expertise in financial accounting and has a keen eye for along with expertise in public school finances. Max oversees the business office, develops balanced budgets, and reports financial information to the state and federal government. His integrity, competency and dedication compliment our team. He inspires those that he leads to always to their best. When not at work he enjoys spending time with family, socializing with friends and taking time to enjoy the little things in life. Gina Medvezky-Miller is the Human Resource Director for Summit Management Consulting. She was born and raised in Fort Gratiot and also lived in Grand Rapids. She received her Bachelor’s Degree in Management and Marketing from Baker College. Gina then my Master’s degree in Management and Human Resources from Walsh College. The strengths Gina brings to our team are dedication, commitment, understanding and perseverance. Gina has a great husband and two awesome boys who keep her very busy. She enjoys running, kayaking, paddle boarding and jet skiing. In her free time she likes running in races and sitting on the beach in Lexington. Annette Harnish is the Registrar for Summit Management Consulting. She is the lead in pupil accounting and state reporting for the schools that Summit Management oversees. Her dedication and attention to detail are perfect strengths for the work she does daily. She achieved her Pupil Accounting Specialist designation from the Michigan School Business Office. Her role as Registrar requires her to maintain confidentiality, problem solve and record data. 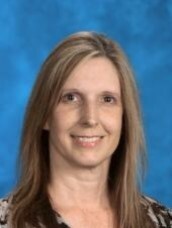 As the administrator for student information and record keeping, Annette is an expert when it comes to Skyward Student Management, the software used by Summit. Annette attended the Canadian Forces School of Administration and Logistics in Barrie, Ontario CANADA. She has experience in accounting, payroll, human resources and administration. She is a great team player and is known, by her co-workers, as the “go to” person when you need a boost or ray of sunshine. When not at work she enjoys teaching Sunday School and spending time with her family in Canada. Annette loves to travel, snowmobile, camp, and fish. Samantha Larue serves as a Staff Accountant focused on Accounts Payable and Purchasing as part of the Finance team for Summit Management Consulting. She graduated from Baker College of Port Huron. Her goal is to offer the best services she can to Summit Management’s Schools so that the teachers may be able to continue teaching their students without pause or delay. In her current free time, she likes to create costumes with the goal of visiting children’s hospitals and using them as a way to fundraise for children and other programs. Family has always been a driving force behind the goals that Samantha has had in place, her role model and late Great Aunt always pushing people for the greatest they may not yet see in themselves.